It’s Wednesday, and you know what that means: a fresh load of comics and graphic novels! With so many publications hitting your local comics store, comics event or digital storefront, the BF team are here to lead you through the woods with our weekly staff picks. Satisfaction guaranteed! This dystopian thriller following the journey of protagonist Jack Kryznan as he explores the environs of sentient city Paradiso (and his own relationship to it) has been one of the very best things to come out of Image Comics this year. Not nearly enough people are raving about it which is an absolute shame given its intelligent, teasing and twisting narrative. 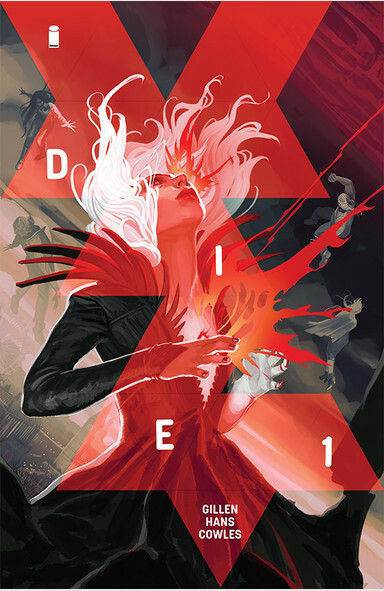 Writer Ram V – one of the true comics breakout stars of the last couple of years – never patronises his audience and is unafraid to make them work to put together the puzzle pieces of his story, making for a far more involved and satisfying reading experience as a result. In this second trade you’ll also be treated to stunningly atmospheric visuals from Devmalya Pramanik, and moody colouring from Alba Cardona Gil that play a vital role in the gritty world-building of the book. The latest series from the Berger Books imprint comes from the mind of the Hugo and Nebula award-winning author Nnedi Okorafor (Who Fears Death and the Akata series). Aliens have come to Earth, and their chosen port of entry is the country of Nigeria. Issues of integration with the new species have sparked a culture war at home, pushing both locals and aliens to seek new homes abroad. 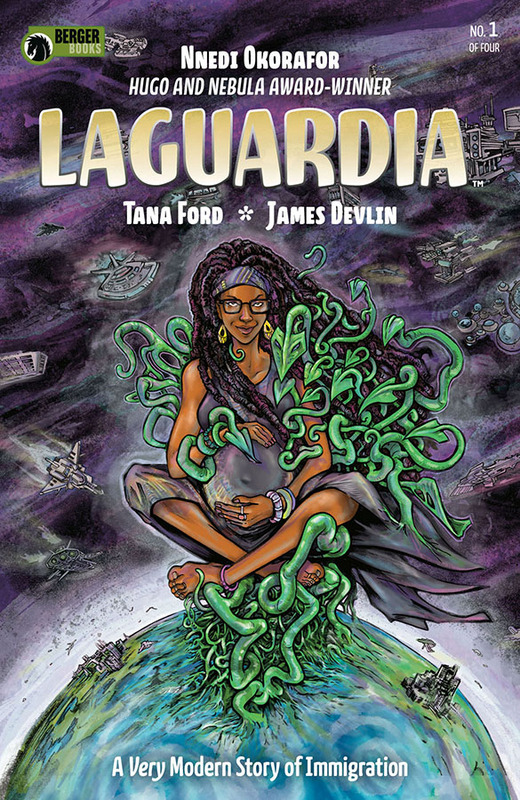 Nigerian-American doctor, Future Nwafor Chukwuebuka returns to her home in NYC about to give birth to a child as well as smuggling in a shape-shifting, plant alien named “Letme Live”. Here she joins a growing community of immigrants, both human and alien, battling against interrogation, immigration and travel bans. The current Netflix trailer for the Dr Strange Movie, features Tilda Swinton telling Mr. Cumberbatch that to do magic he must devote years to study and practice. 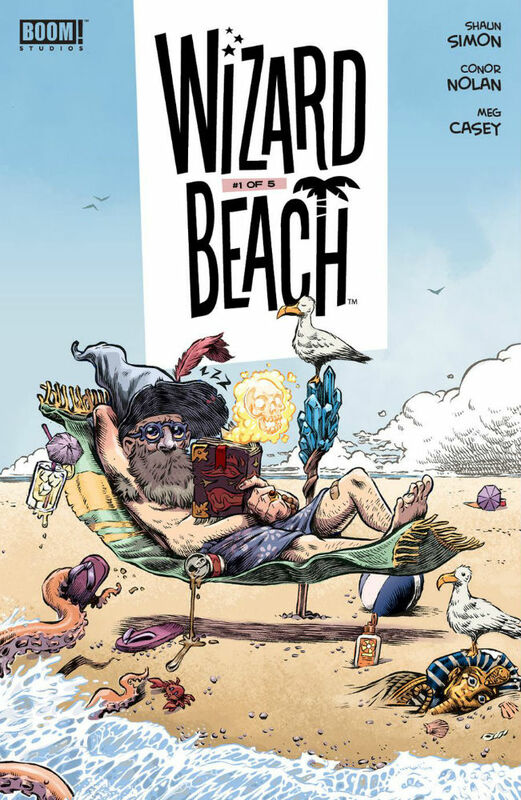 If you’ve always suspected that this is nonsense and the truly powerful amongst us are the lazy, then Wizard Beach may be the book for you. Hexley Daggard Ragbottom, the hero of this comic, desires to learn great mysteries and spells, but is perpetually disappointed by his would be mentor his Uncle Salazar’s desire to kick back and take it easy. Shaun Simon (The True Lives of the Fabulous Killjoys) and Conor Nolan (Jim Henson’s The Storyteller: Giants) present a telling tale of family dynamics and frustrations, with no shortage of humorous madcappery. 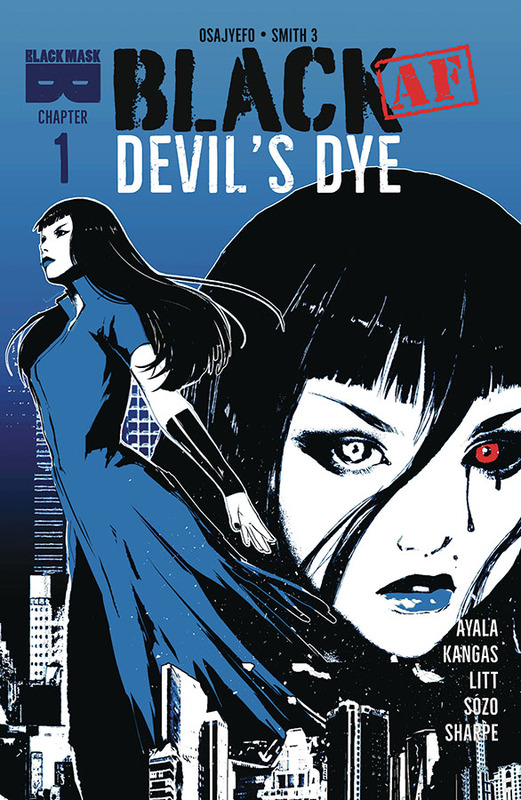 A new spin-off series from the world where only black people have super powers brought to you from a creative team of rising stars, Vita Ayala (The Wilds, Submerges, Livewire) and Liana Kangas. A new drug called “Vanta” has hit the streets. For most people the effects are similar to Ecstacy, but for empowered black folks it cause a total lack of control of their abilities. 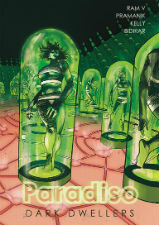 Indigo joins Detective Ellen Waters to track down the source of the substance and find out who is behind this plot to poison their people before it’s too late. This bleak fantasy series focuses on a group of fortysomethings whose role-playing youth comes back to haunt them when the supernatural forces they encountered in those halcyon days return in adulthood. December is usually a quieter month for debut projects but this looks like a cracking new book set to defy that particular seasonal convention.